When will the world see a useful quantum computer system? That’s arguably the most interesting question in technology. A rash of recent breakthroughs has many experts convinced the quantum computer is imminent, while others remain skeptical they’ll ever arrive. The truth is, nobody knows because quantum physics doesn’t lend itself to research in the traditional sense. Breakthroughs in the field slow research down just as often as they speed things up, which seems counter-intuitive, but as we’ve said: it’s a weird and wacky area of science. Check out our explainer on quantum computers here if you’re not sure whether qubits are the quantum version of a classical bit or the main character in a classic Atari video game. In order to explain the most recent breakthroughs in quantum computing we’ll have to go back about 17 years. The 2001 Nobel prize for physics was awarded to a trio of quantum physicists for successfully demonstrating a Bose-Einstein condensate – the fifth state of matter after solid, liquid, gas, and plasma. In order to achieve this elusive state scientists freeze a group of particles to within billionths of a degree of perfect-zero. At this temperature the individual atoms become so slowed that their kinetic energy no longer exceeds their apparent energy. In this state, one of quantum physics’ many wacky events becomes possible: cloud entanglement. 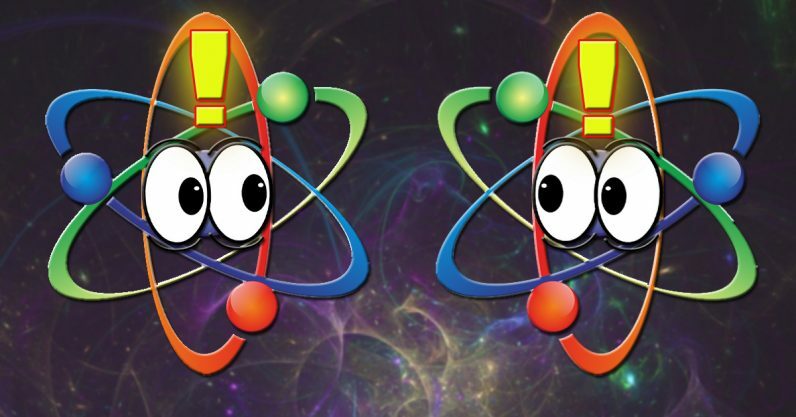 Basically, all the atoms become physically identical and act as one single super-atom. If it helps, think of it like a hive-mind of entangled atoms. There are no longer thousands of individuals, just one big fuzzy conglomerate. This was a remarkable breakthrough back in the 90s when the 2001 Nobel recipients did their ground-breaking work, but it’s taken until now for anyone to do anything useful with it. A trio of papers released last month demonstrate the usefulness of atom clouds and could eventually lead to the development of several different quantum systems, including computers. Scientists in one experiment were able to create an atom cloud, freeze it into a state of quantum entanglement, allow it to expand, slice it up with lasers (yes, lasers) and then prove it had maintained its entangled state. This is important research on the path to a working quantum computer system, simply because there’s no definitive way to approach the problem yet. We’ve squeezed 72-qubit systems, and 20-qubit networks out of existing technology, but if it turns out the threshold for quantum supremacy is thousands of qubits working together instead of hundreds, then maybe atom clouds are the way to go. These breakthroughs, whether decades or weeks old, don’t solve all the big problems, however. And in some ways each indicates we’re actually further from overcoming the barriers standing in front of useful quantum computers than we may have previously thought. For starters, solving the qubit problem with a solution that still requires near perfect-zero temperatures makes building a quantum system the domain of huge labs. You’re not going to host one of these machines in your basement. But, let’s not forget that the PC’s grandparents were room-sized computers too. We might not be there yet, but the breakthroughs are important even if they reveal how much further we really have to go. The eventual goal of quantum computing is creating machines that have a complete and total disregard for the laws of physics. And that’s important because once we have those, we can really start to figure out what’s going on in the universe.